Why did it take Subaru so long to bring out their first-ever Crosstrek plug-in hybrid vehicle? It was a calculated move that could pay big dividends. Subaru is criticized for moving slowly in their plug-in hybrid and EV development, but it’s actually a calculated move by the small Japanese automaker. 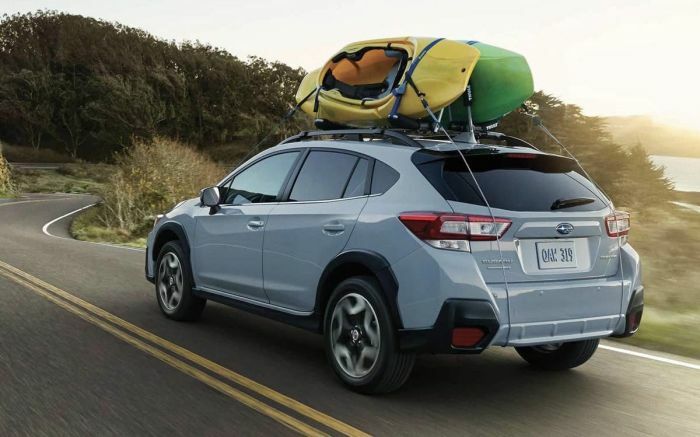 Subaru will launch their all-new 2019 Crosstrek plug-in hybrid later this year and it seems slow to show when other automakers have many PHEVs in their lineup. According to a recent report from Bloomberg, Subaru is waiting for other automakers to spend the big money on research and development, while they wait until the time is right to move. It’s a strategy Subaru gets criticized for often, moving slow, not making major changes on the Forester SUV remodel, and having a conservative approach to making changes in their lineup. Subaru Corporation is a small automaker and they don’t have huge R&D departments like their large Japanese and American rivals. So they have chosen a wiser path in their EV development. Subaru’s strategy is to sit back, let the big automakers spend huge amounts of money on perfecting the all-electric technology, and then when consumer demand for the vehicles picks up, they will be there when the costs of batteries have dropped drastically. Subaru also has another ace up their sleeve. Toyota Corp owns 16.5 percent of the Japanese automaker allowing Subaru to tap their vast resources to help them develop the new electric technology. “That partnership and Subaru’s relatively small size enables company leaders to believe they can afford to be patient” according to the report. Subaru is also launching a new 2019 Subaru Forester with the same plug-in-hybrid technology but will test it first in Japan and Chinese markets before bringing it out in the lucrative U.S. market. First I heard of the plugin hybrid drivetrain coming to the Forester in 2019 as well as the Crosstrek! I know, not in the USA but it will be made. Hopefully an efficient engine block, not regular crappy OTTO cycle..